We recently heard from 'Lia' who asked, " Hi, we are aware that our spring water develops ferric iron upon contact with the oxygen in the air although we do need a kit to make another general test. The problem is getting it out as it only develops once in the pool - originally we thought of a filter of some sort between spring and pool but the stuff hasn We know manganese greensand can be used to filter it out having treated the water with chlorine but we don't know how to do this - can it be used in the normal pool filter system instead of silica sand? If you are not the people to ask perhaps you can direct me to a useful source? I will order the test kit later today. Ps There is a lot of the ferric iron; it covers the bottom of a small pool!" In high enough concentrations it will make pool water look VERY uninviting because it may give the water a brown, dark and/or otherwise unpleasant appearance. Iron may form sediments and stains when chlorine or other oxidizers get added to the pool water... and in the case of staining some of the iron stains may take on a permanent and certainly unwanted nature. Does iron pose a health risk? Not really, but again, iron in pool water may take on a really unpleasant appearance due to discoloration and the formation of sediment, solids and/or gross looking stains on pool surfaces. To answer Lia's question directly, one should NOT attempt to replace traditional pool filter sand with other filtration substances (like Greensand which gets used to filter out unwanted water contaminants such as iron, hydrogen sulfide and/or manganese). Since Lia mentioned ferric iron covering the bottom of her pool, it sounds like whatever filtration option she chooses should include a sediment pre-filter. Taking out 'solids' (like ferric iron) before water hits the main filter helps to extend main filter life and efficiency. To treat up to 3 ppm ferrous or ferric iron (metal iron), use of a filter such as the Pentek RFFE20-BB Iron Reduction Filter in a Big Blue 20x4.5 housing is suggested. If iron is above 3 ppm or if it is bacteria-based, use of an Iron and Hydrogen Sulfide Whole House System up to 15 ppm is suggested. If iron level is above 15 ppm, or for incoming water lines larger than 1", you should probably consider a Commercial Iron Removal System. First Things First: How Much Iron Does the Water Source Contain? As with any water contamination situation, the removal/reduction method depends greatly upon the concentration and nature of the contaminant. Always TEST YOUR WATER before investing in a water filtration system... or run the risk of purchasing and installing the wrong products! With all the talk in the news about lead in drinking water, arsenic in well water, and other unpleasant water contaminants 'suddenly and unexpectedly' popping up in our potable water supplies, it came as no surprise to us when 'William' emailed us and said, " I'm interested in what type of tests you provide for heavy metals specifically aluminum, barium, strontium, arsenic & lead. And yes of course if it tests any other metals that's a benefit. Also pricing, much appreciated. " Testing for other metals such as strontium, barium and aluminum requires more advanced testing methods typically only found in laboratory environments. Does Heavy Metals Check Test for Nickel? We recently got asked if the SenSafe Heavy Metals Check product detect Nickel... and it does, but with the following caveat: This product DOES detect nickel, but at the same time it also detects other metals and therefore provides a combined reading of all metals it detects. Example: If the sample contained 60ppb dissolved nickel, 40ppb dissolved iron, 100 ppb dissolved copper... this test strip would give a reading of 200ppb. It would not, however, identify individual metals detected or their individual concentrations. To get a better, more detailed analysis of potential water contaminants including dissolved metals we suggest taking a look at the mail-in water testing services of National Testing Laboratories. You can select from a number of water testing packages ranging from 'basic' to 'advanced' and test results typically come back in approximately 10 business days. Lead, Lead, Lead in Water… What is a Person to DO? Each time we turn on the news or flip through articles in a news feed we see article after article about cities, villages and towns of all sizes 'suddenly realizing' they may lead contamination in their drinking water... but we see another problem: Everyone's looking for someone to blame or hold accountable, but not enough folks offer the average citizen simple information on the situation. We'd like to change that. How do they know lead's in the water? Simple testing for lead should take place on water distributed by public water systems on a regular basis. How much lead in drinking water is harmful to me? Pretty much all water quality experts agree that drinking water with lead concentrations of 15ppb (parts per billion) or more should not get consumed by pregnant women or children. Drinking water that contains lead concentration up to15ppb should get filtered if native to the water supply or flushed with cold water if it comes from a building's plumbing, fixtures, faucets, etc. OK, so we (now) know lead in drinking water not only exists, but that it definitely poses a larger threat to the general population than many people imagined. So where did the lead come from? Banned in the mid-1980's and not widely used since before World War II, lead pipes ran through older buildings. Banned at around the same time as lead plumbing in homes, the solder used to connect copper tubing used in plumbing often contained high levels of lead. Older fixtures, fittings, and valves made of brass sometimes contained lead. If water mains and/or plumbing leading to a faucet contain lead, the possibility exists that bits and flakes of lead may break loose and get caught in the faucet's screen. For a long time water mains running from water treatment plants to homes, schools and businesses contained lead -- and some still do. Many drinking water fountains manufactured before the late 1980's contained lead components. While the above methods by which lead may enter the tap water of a home, school, or business represent the most common sources of lead contamination, please keep in mind that other means of contamination may exist, as well. How can I tell if plumbing in my older home is made of lead? When scratched, a lead pipe will appear shiny at the location of the scratch while the rest of the pipe usually has a dull gray color. I have well water and PVC plumbing... so am I safe? Not necessarily. Lead occurs naturally in the environment so well water experts suggest periodic testing for lead in well water along with other critical water quality parameters. If no 'events' threaten the integrity if a well, then many well water experts believe annual testing for critical water quality parameters (like dissolved lead) should suffice. Is testing for lead in water expensive? No, not really. A basic DIY water test kit for dissolved lead in water from WaterSafe costs less than $15 and takes just a few minutes to perform. BUT, should a basic test kit indicate the potential presence of dangerous levels of lead in your water, laboratory testing to determine the full extent of lead contamination will cost a bit more. And if a simple test shows I have lead in my water? If you test your water and get a positive result for lead, then we suggest having your water tested by a qualified water testing laboratory so that you can determine the extent of contamination and begin your search for the appropriate water treatment system. Sites like Filter-Drinking-Water.Com, FilterWater.Com, and FiltersFast.Com offer selections of filters that efficiently reduce quantities of lead and other unwanted heavy metals in drinking water. We often tell people that heavy metals in water can cause health problems if not removed from drinking water. Today we would like to give a brief explanation of WHY you should monitor levels of heavy metals in your water and reduce/remove them if the levels exceed safety limits set by the EPA. It sounds like something older folks say younger people get while listening to Slayer, Megadeth and other heavy metal bands, but it actually deals with what happens to the human body when exposed to higher than normal levels of metals like copper, manganese, cadmium, zinc, thallium, mercury, arsenic, gold, silver, iron, lead, etc. Heavy metals poisoning occurs when toxic levels of metals accumulate in the body's soft tissue. A number of heavy metals such as zinc, copper, chromium, iron and manganese play critical roles in keeping the body functioning properly BUT if ingested in high enough quantities those previously beneficial metals become toxins in the body and may cause serious, sometimes irreversible damage... which may culminate in serious illness or death. Most often incidents of heavy metal poisoning in humans result from overexposure to metals like lead, mercury, arsenic and cadmium. Exposure may have happened as a result of on-the-job exposure, accidental ingesting of contaminated water and/or air, tainted foods, improperly prepared medicines, food and beverage container liners, and the ever popular hobby of eating lead paint chips. How much metal is TOO much metal in my drinking water? It varies by contaminant and for more specific information on this topic we suggest checking out the EPA's Primary and Secondary Drinking Water Standards. Those lists break down contaminants into two categories: 1) Potentially damaging to health; 2) Potentially damaging for aesthetic (taste, odor, discoloration, etc.) reasons. Before purchasing a water quality improvement system (AKA: a water filter) one should always have their water tested either using at-home water quality test kits or by a certified water testing laboratory. Companies such as National Testing Laboratories offer mail-in water testing packages and typically provide results in 7 to 10 business days. Heavy Metals Check — Does It Test for Tin and Titanium? We recently received a question from 'JimP' who asked, "On your metals test kit is lists "Cadmium, Cobalt, Cupric Copper, Ferrous Iron, Lead, Mercury, Nickel, Zinc and other metals with a +2 state valence shell. Can you please tell me what the other metals are? I am looking for all listed plus titanium and tin." Thank you, Jim, for your inquiry. The Heavy Metals Check product detects, as you quoted, "Cadmium, Cobalt, Cupric Copper, Ferrous Iron, Lead, Mercury, Nickel, Zinc and other metals with a +2 state valence shell" according to the manufacturer. Regrettably the manufacturer has not made much more information than that available to the public... and yes, we have asked more than once in the past. As far as detecting tin and titanium goes, at this time we do not know of a simple dip and read test that detects those metals. The manufacturer of Heavy Metals Check manufactures a line of meters that MAY offer ion selective detection of tin and titanium, though, so that may be worth checking out. 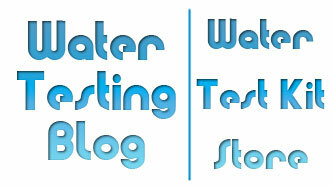 We suggest visiting www.sensafe.com and exploring the capabilities of their latest water testing meters. Zinc (and Other Metals) in Water… Good for Us Now? Today's inquiry came to us from 'Lacie' who asked, "Hi. We have always used a water filter for our well water because we were told it has a lot of metals in it. Now articles tell us studies say metals may actually be good for us? Does that mean we no longer need our water filter?" Thank you, Lacie, for that question, and we suspect a number of people have similar thoughts on their mind after reading articles discussing how Zinc and other metals may actually help reduce depression (http://www.scientificamerican.com/article/metals-and-mental-health/). So... metals are good for us now? In a way, yes, since the human body DOES require them to function, but keep in mind that not ALL metals serve a purpose in the human body... and SOME metals pose extreme danger to the human body. As an example, take a look at most multivitamins on the market and you will see that they contain metals like Zinc, Iron, Manganese, Copper, and sometimes even Chromium (the metal made famous by Environmental Activist Erin Brockovich). The human body requires these metals to function properly. Trouble shows up when people ingest too much of the heavy metals that our bodies need. As an example, while the body needs trace amounts of Chromium to function correctly, ingesting too much Chromium may result in unwanted health problems such as cancer of the lungs and/or respiratory tract, kidney problems, and in some cases gastrointestinal unpleasantness such as vomiting and diarrhea... both sometimes mixed with blood. The first step in determining whether or not a water source requires filtration involves testing of the water for suspected contaminants. In Lacie's case, someone previously tested her water and determined that it (apparently) contained excess levels metals so a filter to remove or reduce metal concentrations in the water got installed. To determine if Lacie should now remove her filter, she should first have the source water retested -- especially for metals. If after testing the levels detected do not exceed USEPA limits as defined in their Primary & Secondary Drinking Water Standards, and no other contaminant levels exceed acceptable levels, then perhaps she can remove the filter. Do keep in mind, however, that well water quality changes all the time and water that contains metals or other contaminants one day may or may not contain them a week later. Studies have shown this especially true in areas where the water table level rises and falls on a regular basis. Health departments, the EPA and drinking/well water professionals all around the world pretty much agree that water quality seldom remains static and that private well owners ought to test their well water at LEAST once a year for common water contaminants such as nitrates/nitrites and coliform bacteria. If a water source has had trouble with other contaminants -- like metals, for example -- in the past, then obviously the water should get tested for those contaminants, as well, at least once a year. The key to making well water safe for human consumption lies not just in the filter used, but also in the testing that guides us through the filter selection process. In other words, Lacie, do not remove the filter until you have tested the water to make certain you no longer need it. 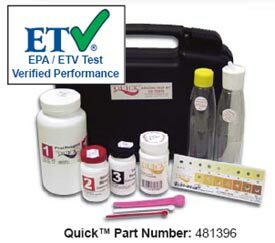 The WaterSafe Lead in Water Test Kit makes testing for potentially dangerous levels of dissolved lead in drinking water a fast and easy process. Giving useful results in just minutes, the WaterSafe Lead Test lets you know if your drinking water contains more than 15 ppb (parts per billion) dissolved lead. The USEPA set as a Primary Drinking Water Standard the level of 15 ppb dissolved lead in drinking water. Reaching or exceeding this level, for a water treatment plant, means the plant must immediately act to reduce the level. Failing to do so could result in substantial fines from the USEPA. Scientific studies have shown that prolonged consumption of lead in water may result in learning disabilities, muscular disorders, damage to the kidneys, and a host of other unwanted health problems. I have city water… so why should I test for lead? Lead can show up in city/municipal/public water supplies. Why? Older water systems may still have metal tubing in use that, in older days, workers used solder (which contained an amount of lead) to join together. Over time water makes its way through the joints to the solder and then lead slowly enters the water supply. To make matters worse, older homes that contain copper plumbing usually have joints fused together with solder that contains lead — and no State, Local or Federal law can make homeowners or landlords replace older plumbing with newer, lead-free components. If concerned about metals other than lead in your water, we also carry test products for mercury, chromium, zinc, total copper, total iron, manganese and a cumulative test for heavy metals. To learn more about the effects of consuming lead, how lead could potentially gets into your water, and information on removing lead from drinking water, please take a look at the lead archives section on the Water Testing Blog. Newspapers and online news outlets around the country love the thrill of informing people that their drinking water may contain unsafe levels of lead and spilling the beans on the dangers of consuming too much lead, but we feel too many of the stories put out there lack something: Advice for people w/ affected water! Should you wake up one day to alarmist stories about lead in YOUR drinking water, hopefully the following pieces of advice will help. 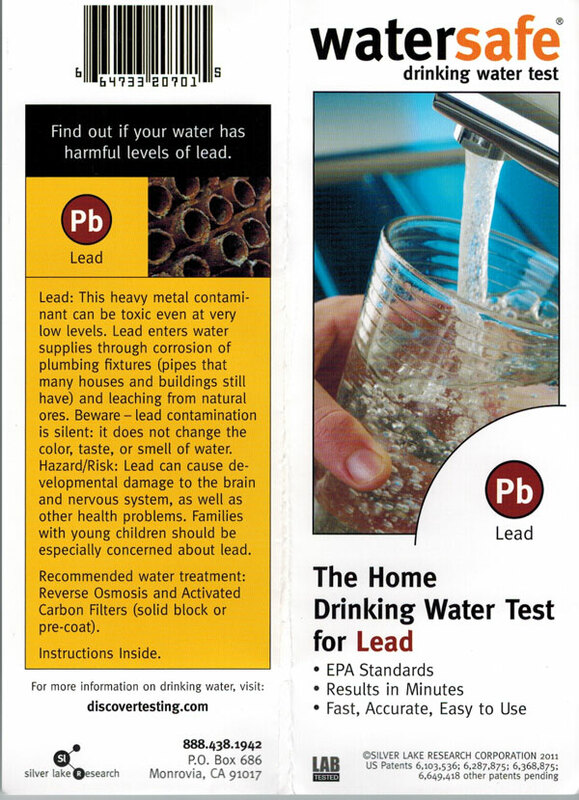 Lead and other heavy metals leach out of plumbing, fixtures, etc. and accumulate in stagnant water so before you get a glass of water, put water in a pan for cooking, or make a bottle of baby formula… Run the water for a few minutes to flush out any lead that may have entered the water. For those concerned about the environmental impact(s) of running water for a few minutes before use, collect the water and use it to water the plants (just not in your vegetable garden!). Unlike commonly found forms of bacteria in drinking water which become inactive (aka: die) when water gets boiled, lead does NOT go away and, in fact, boiling water that contains lead or any other metal actually results in higher concentrations in the water after it gets boiled. When using water for consumption purposes (i.e. drinking, cooking, making baby bottles, watering pets, etc. ), always use the cold water option. Colder water absorbs metals at a slower rate than warm or hot water. Most faucets these days come equipped with aerators (some people refer to them as ‘strainers’) and these devices can accumulate lead and other unwanted contaminants over time. We suggest that you periodically remove the aerators and clean them. If the source of lead in water cannot get removed (i.e. ripping out your home’s plumbing and replacing it all) or the source comes from older supply lines belonging to the city, then installing a water treatment system (water filter) may make sense. Definitely check to make sure whatever system you choose has certifications for the removal and reduction of lead and any other unwanted drinking water contaminants in your water supply. 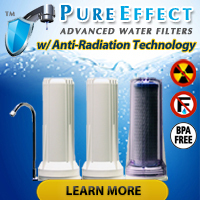 Not all filters remove all contaminants! 1) Ingredients in the wine sample may cause a more ‘violent’ bubbling than water and result in the test area on the suspended test pad getting wet. If the test pad gets wet, the test becomes invalid. 2) The sample may contain organically bound arsenic and the test kit cannot detect organically bound arsenic. We suspect that the wines contain organically bound arsenic because as far as we know, it is the free dissolved arsenic that health officials know causes health issues and hopefully someone would have noticed dangerous free arsenic levels in such a highly regulated industry before now. So why did the tests performed by the labs on those wines come up ‘high’? Our ‘guess’: During laboratory analysis samples get ‘prepared’ in various manners which break down the bonds between organic matter and contaminants like arsenic so that the contaminants may get detected in their ‘natural’ (i.e. free) state… and quantified. Does organically bound arsenic pose risks? We suppose it must in some way, but as of yet we have not read very many articles on the matter and therefore must refrain from rendering an opinion on the matter.